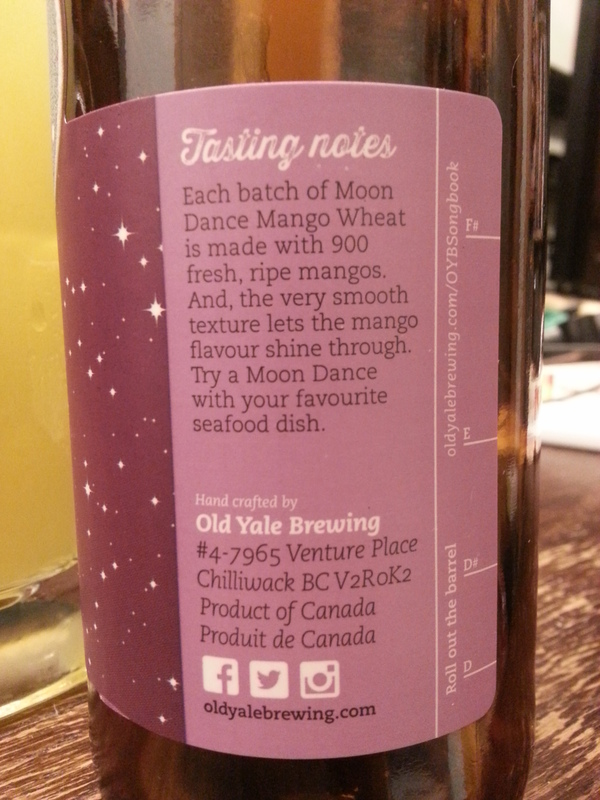 Moon Dance Mango Wheat – Old Yale Brewing (Chilliwack, BC, Canada) | Justintoxicated. Visual: Pours bright luminescent cloudy yellow with a very small dissipating head, ringed retention, clusters of slow streams. Finish: lingering mild sour roughness, dry wheat malt, mild mango exhale, bready finish. 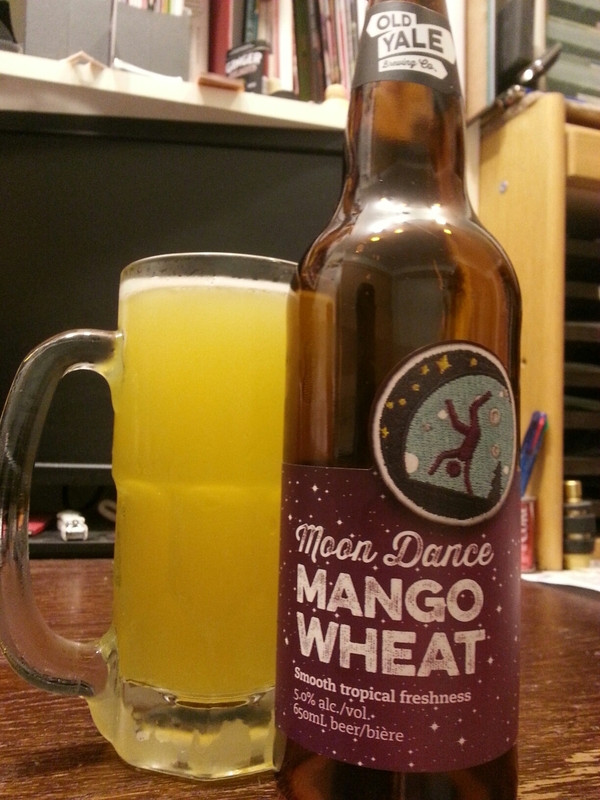 Summary: Mostly sour wheat malt from with just a flash of basic mango favour and it’s overtaken by more wheat malt. From what I remember their other mango wheat ale (likely discontinued) Outta Whack, made with mango puree, tasted better. Skip this.